In Moscow, a would-be suicide bomber wore a cellphone-triggered bomb that received the wrong text. Islamist terrorists in Russia often use cheap unused mobile phones as detonators. The bomber's handler, who is usually watching their charge, sends the bomber a text message in order to set off his or her explosive belt at the moment when it is thought they can inflict maximum casualties. The phones are usually kept switched off until the very last minute but in this case, Russian security sources believe, the terrorists were careless. Meanwhile, Egypt has shutdown all internet and cellphone communication to stifle protesters. Internet and cell-phone services were disrupted across Egypt beginning Thursday night as authorities tried to prevent protesters from organizing mass rallies. Nobel Peace laureate Mohamed ElBaradei, one of the country’s leading pro-democracy advocates and his supporters were fired at by water cannons as they joined the protests. Police used batons to beat some of ElBaradei’s supporters, who tried to protect him. ElBaradei was trapped inside a mosque and eventually captured by police who put him under house arrest, according to Egyptian security officials. The Al-Jazeera TV network said at least one person was killed in the violence. The body of a protester was carried through the streets of the port city of Suez, although it was unclear when he died. "They have killed my brother," one of the demonstrators shouted. Protesters, ignoring the curfew, remained in the streets challenging the military to arrest them. ...so online supporters from Anonymous have been faxing Wikileaks cables into Egypt instead. Soon enough, the future wave of smartphone-savvy activists may have a new app at their disposal...assuming the internet doesn't get shut down on them, too. And in Kenya, millions are using their cellphones to spend and save money instead of physical cash and banks. Like most people in Kibera, Outiri doesn't earn very much — just $4.37 a week. He would like to put that money in a bank, but he can't afford to. "If I want to open up a bank account, it will cost me some charges, which I am unable to incur," he says. So Outiri deposits his salary onto his cell phone with the help of an M-PESA agent in a kiosk in Kibera. M-PESA is the first mobile money transfer system of its kind in Africa. "M" stands for "mobile," and "Pesa" means "money" in Kiswahili. In recent months, M-PESA has encountered new competition from other mobile phone companies, but it still dominates the Kenyan market. And it has expanded on the continent and beyond — to South Africa, Tanzania and even Fiji. In the very near future, just about anything that can be done with cellphone technology and a steady network will be done. The Tunisian revolts as Open Source Warfare [via]. Wikileaks and their continued self-rebranding (and self-defense) [via]. The Christian apparel online ads you get when searching for jihadist message boards. "Us vs. Them" was an ancient practice, but more complicated and nuanced than we imagine [via]. 2011: The Year Of Living Dangerously [via]. 1. Gorgon: The Air Force "all seeing sensor" to be used by unmanned aircraft. Key to Gorgon Stare are its nine cameras -- five that can see in daylight, and four that can see in the dark using infrared. The system also comes equipped with a computer that can process the images. A bit like a fly, these cameras capture images from a variety of different angles, creating a huge field of view. Seems like a slightly fancier version of Google Earth or essentially the type of spy equipment we have always assumed supervillains and/or some Pentagon Top Secret Black Ops organization were already using. Maybe Gorgon will make it easier to find insurgents in mountain strongholds, but unless we know the full specs (which we won't), we'll have no idea how effective it will ultimately be. 2. Gorgon: The name of Chevon's liquified natural gas (LNG) field offshore near Western Australia. Chevron, operator of the Gorgon LNG project offshore northwest Australia is pushing hard to get that mega-project on line by 2014. Chevron's major partners are Royal Dutch Shell and ExxonMobil but the inside story is that of the tiny partners, Osaka Gas, Tokyo Gas and Chubu Electric. Much of that LNG is clearly going to Japan. LNG is used in transporting natural gases between places where pipelines are impractical. LNG is natural gas that has been cooled to –260 degrees Fahrenheit (–162° C), changing it from a gas into a liquid 1/600th its original volume. This dramatic reduction in size allows it to be shipped safely and efficiently aboard specially designed LNG vessels. After arriving at its destination, LNG is warmed to return it to its gaseous state and delivered to natural gas customers through local pipelines. Turning gas into liquid = turning men into stone? Bit of a stretch, there. Can Istanbul Smoothly Embrace Western Expats and Culture? Move over Goa - Istanbul is the new hip destination for Western youngsters with time and money to burn. Istanbul is fast resembling Henry Miller's Paris or the post-Soviet city-wide party in Prague where western twentysomethings can spend that critical time between university and life. "You just can't just show up in New York or London and hope to fit in," says Katherine Ammirati, 23, from Berkeley, California. "At least not without a plan bankrolled by well-heeled parents." She came to Istanbul, doing tutoring jobs and then clerical work at a law firm and will go home one day to become a lawyer herself. "Istanbul still has rich and poor side by side, and that makes it feel like a real city," she says. However, long-time Istanbul residents aren't so thrilled with the sudden gentrification. A focal point of Istanbul’s gentrification movement is the traditional Tophane District. The neighborhood has long been known for its conservative flavor; women are more traditionally dressed, mosque attendance is high, and despite being within five minutes’ walk of Istanbul’s main party areas, there are very few bars serving alcohol. But at the same time, the signs of creeping change are everywhere. Most conspicuously, an increasing number of art galleries have opened in the district over the last five years -- drawn to the area by relatively cheap rents and the close proximity of the new Istanbul Modern and a converted cannonball factory, now itself a gallery space. There is a stark contrast aesthetically and financially between these new galleries and the tea-houses and shops where old-timers congregate. 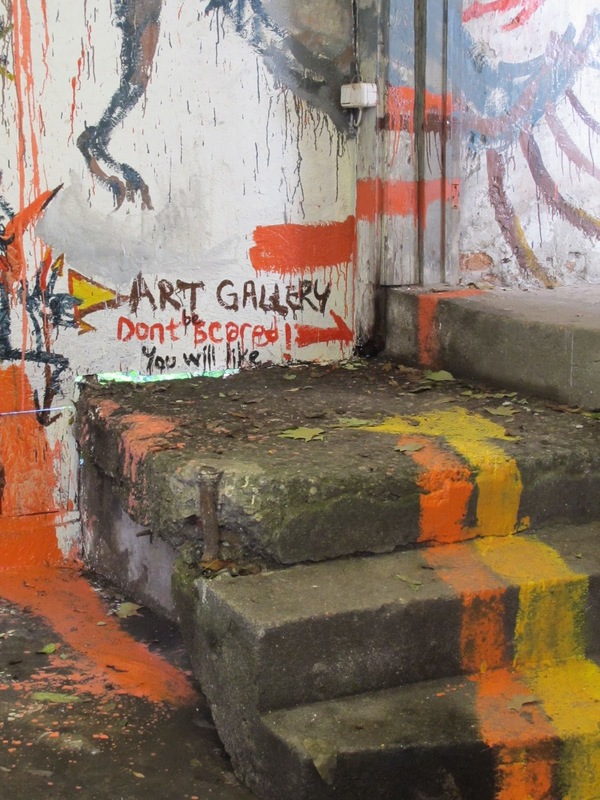 Social tension in the neighborhood has been high since a riot in late September, when attendees at six simultaneous gallery openings were attacked by local residents wielding pepper spray bottles and assorted brickbats. The brawling left five individuals hospitalized and ignited a round of soul-searching that reached into the top levels of government. Locals justified their aggressive actions by saying that the gallery crowds were disrespectful of neighborhood sensitivities, in particular drinking alcohol in the open. 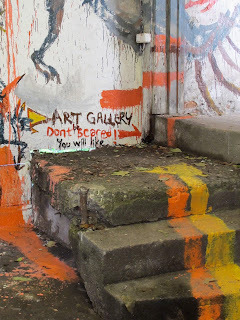 The secularist press, meanwhile, derided the locals’ behavior, with one newspaper running a headline: “Forest Law in the City of Culture.” Gallery owners also recounted tales of intimidation and receiving threats to leave the neighborhood, or face consequences. Of course, Istanbul was once Constantinople and was once known for its artistic output. An intensified revival of interest in classical art forms and ancient literature reflected Byzantium's continuous and active engagement with its ancient past throughout the empire's long history. Then again, these new galleries don't look like they're doing much to embrace classical traditions. But it's not just the young, white bohemians moving to and adjusting to the city. Former NBA player Allen Iverson moved to Istanbul to play in the Turkish leagues and hang out at TGI Fridays. Basketball, though, is still a niche sport in Turkey, and the skill level of Iverson’s team, I’m judging, is on the level of a middling Division I college program here; Besiktas plays in the Turkish league, not in the superior Euroleague. I ask people on the street, in hotels, in cabs, what Iverson’s coming means to Turkey; a lot have no idea who he is. One cabbie says, “Iverson! Yes!” and then turns up the radio he turned down when he picked me up — a game blared. “This is the sport here,” he says. “Football!” Soccer, in other words. Allen Iverson, basketball star, is in a foreign place. And in the wake of the high-profile assassination of a Pakistani governor over opposing the blasphemy death penalty, an Istanbul publisher announced it will publish Salman Rushdie's The Satanic Verses in Turkish. Kara Gunes Basim said the novel’s Turkish version, due to be published on Jan. 28, will be “a test for Turkey’s non- tolerance,” according to the website www.karagunesbasim.blogspot.com. The publication of the novel by Rushdie in 1988 prompted Iran’s then-supreme leader, Ayatollah Ruhollah Khomeini, to issue a fatwa condemning him to death for alleged blasphemy. Islamists in Turkey also staged mass demonstrations against Rushdie at the time. The Indian-born writer spent nine years in hiding, living with guards in various locations in the U.K. If the locals are angry enough with kids drinking booze at art galleries to beat and pepper spray them, who knows what will happen after The Satanic Verses and an Allen Iverson freak-out both hit Istanbul (and Turkey at large). We'll simply be substituting cars powered by gasoline and diesel with ones powered indirectly by coal and natural gas. Can we make environmentally-friendly pharmaceutical drugs?